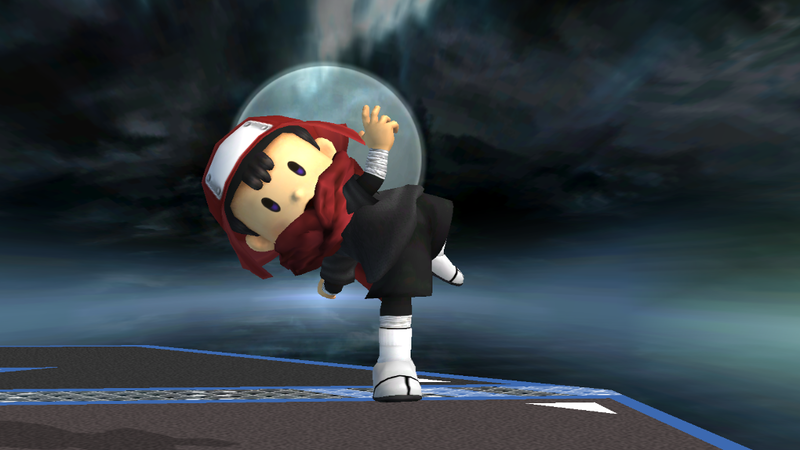 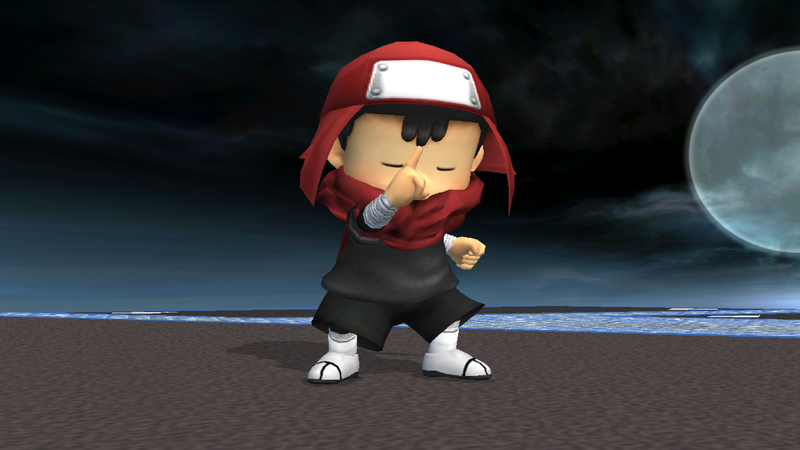 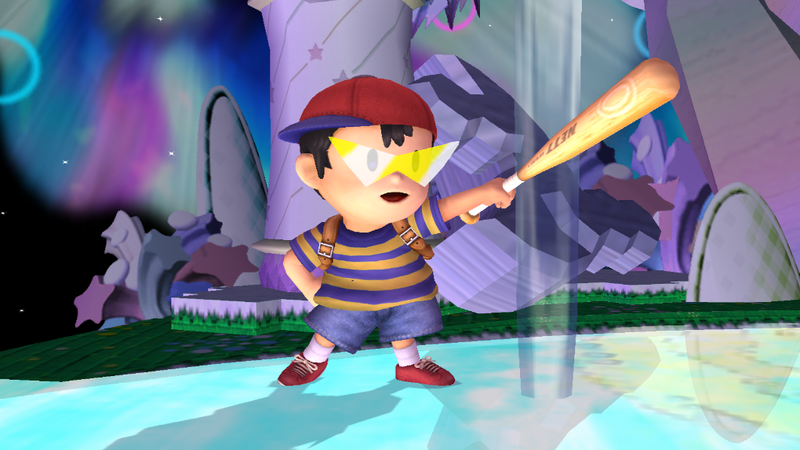 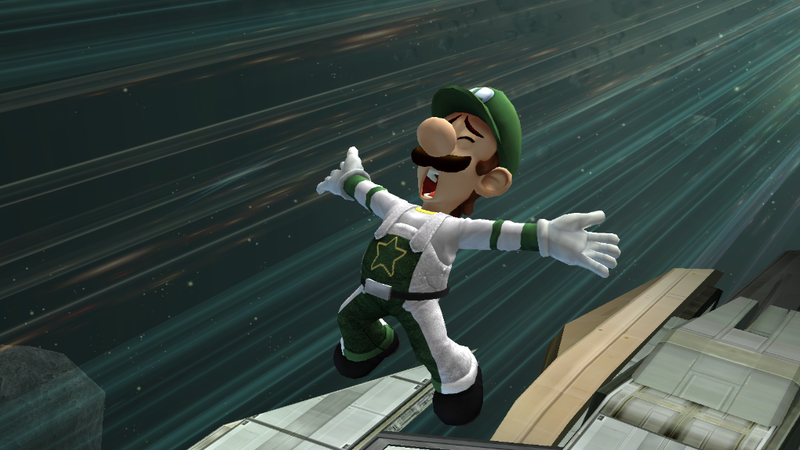 huuuuuuuuuuuge shoutout to mansta8 for making the skin -- i only made the renders included with this download. 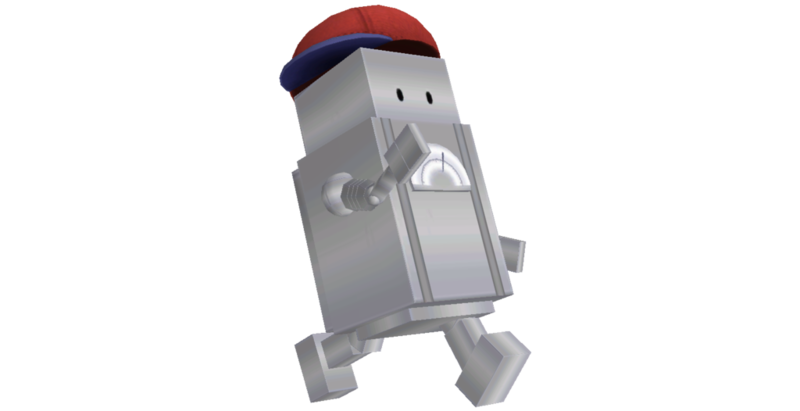 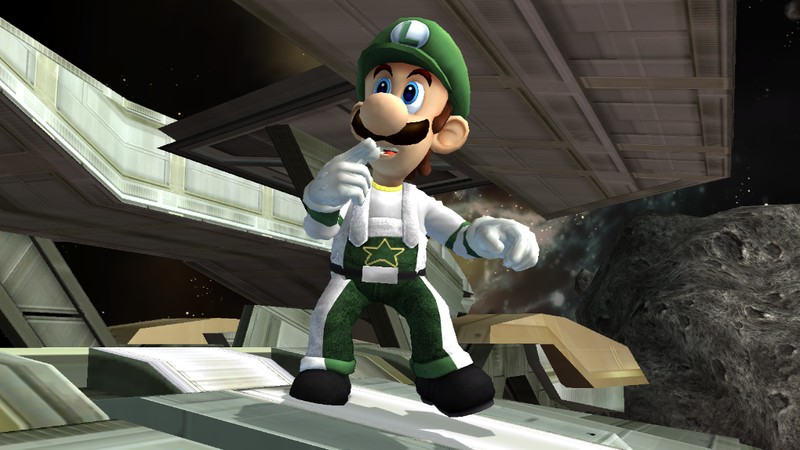 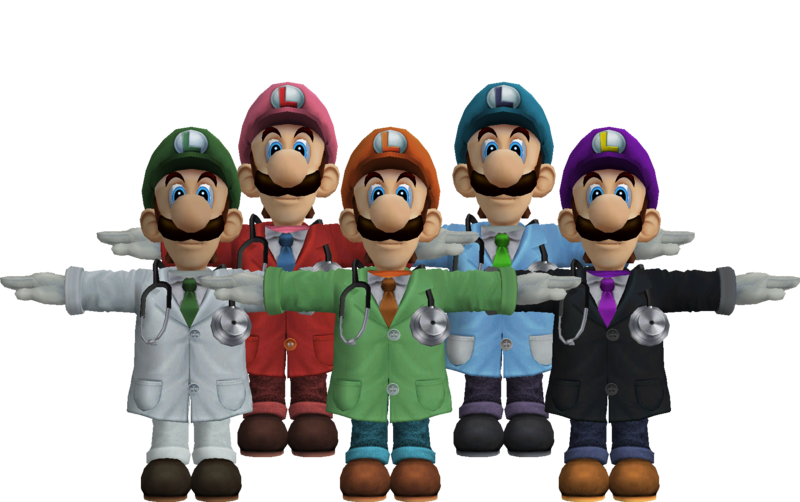 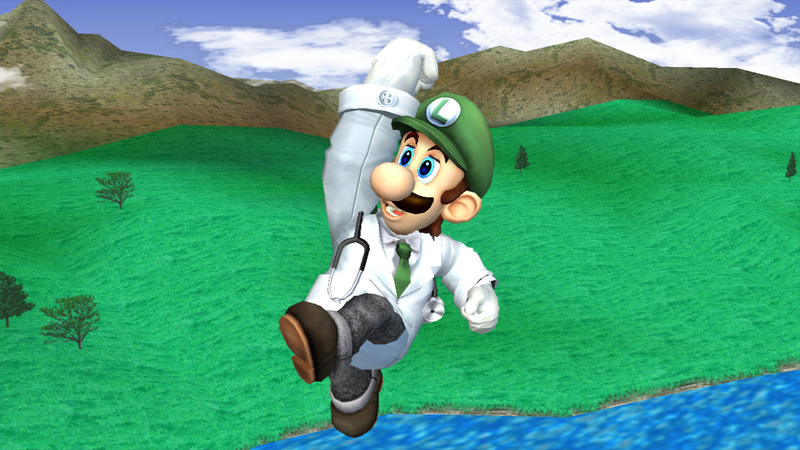 if you do not know, in Dr. Luigi, Luigi gets him normal hat, but in Dr. Mario Miracle Cure, Luigi get's a scope much like Mario, this costume is to represent that version of Dr. Luigi, instead of the version with the hat on. 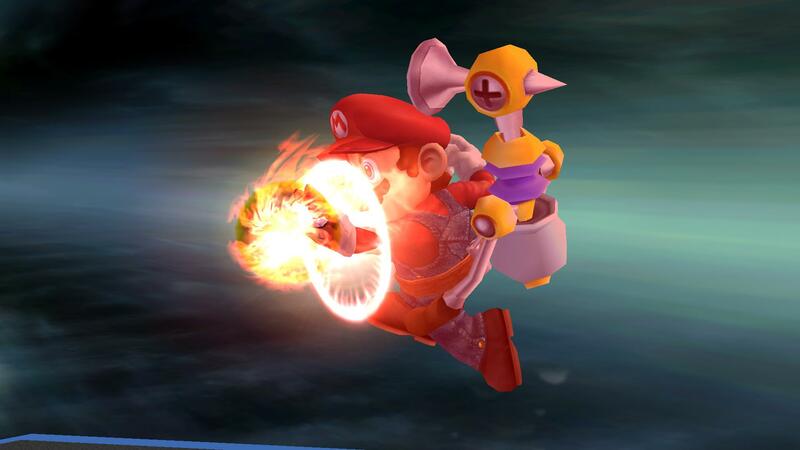 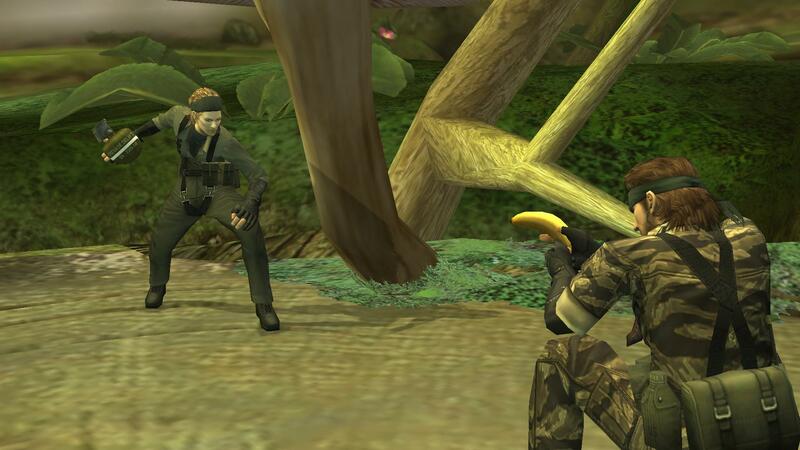 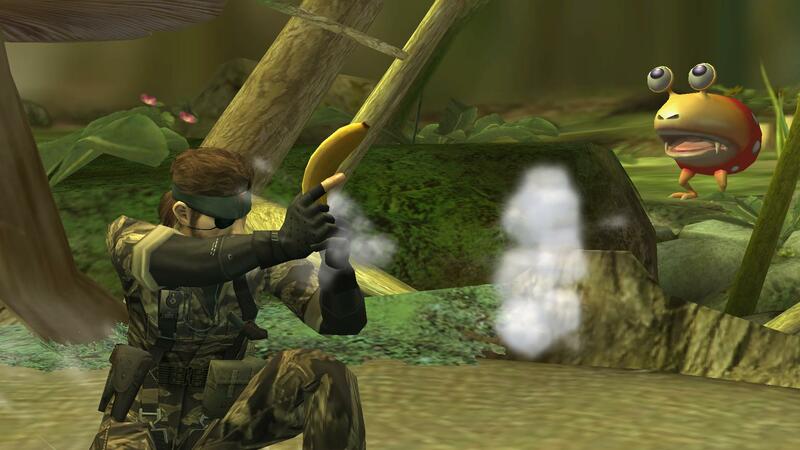 It's a banana over the tranq gun. 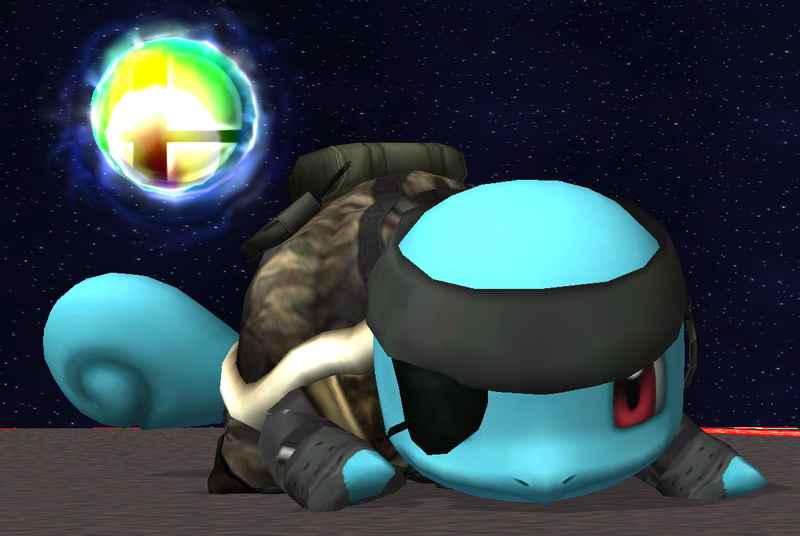 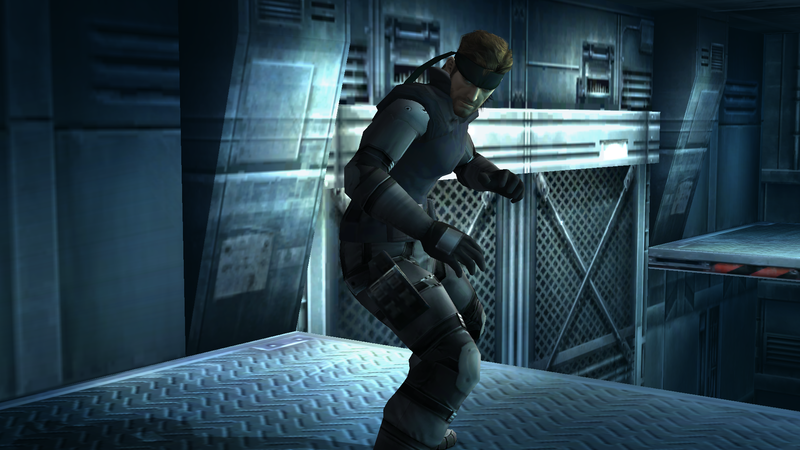 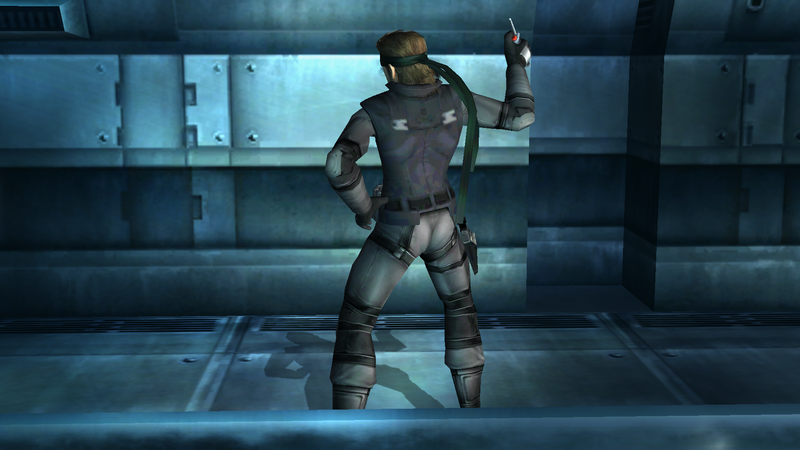 Yep it's his mgs1 suit I guess. 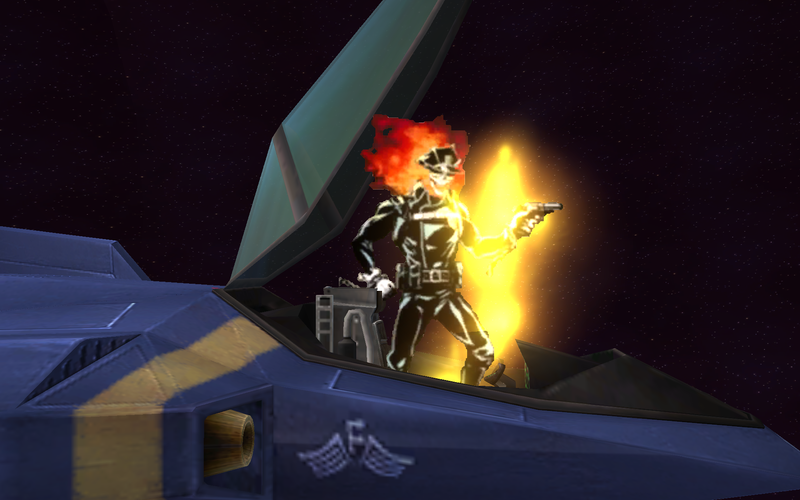 Will update later. 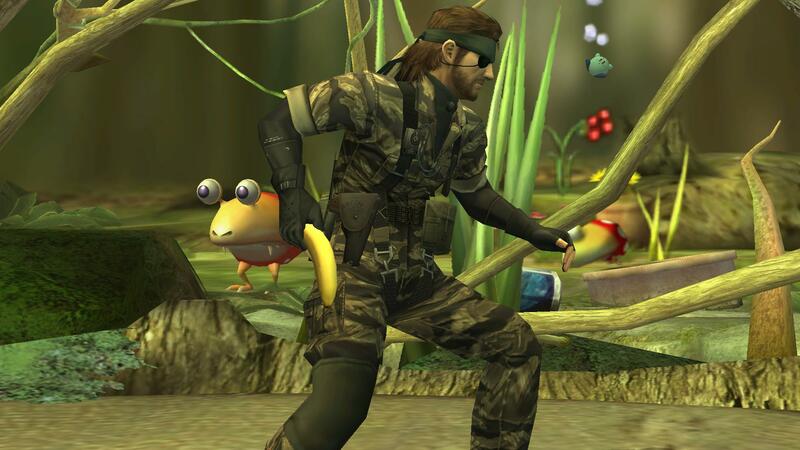 I wanted to get this out soon because I'll be playing MGSV in 3 days. 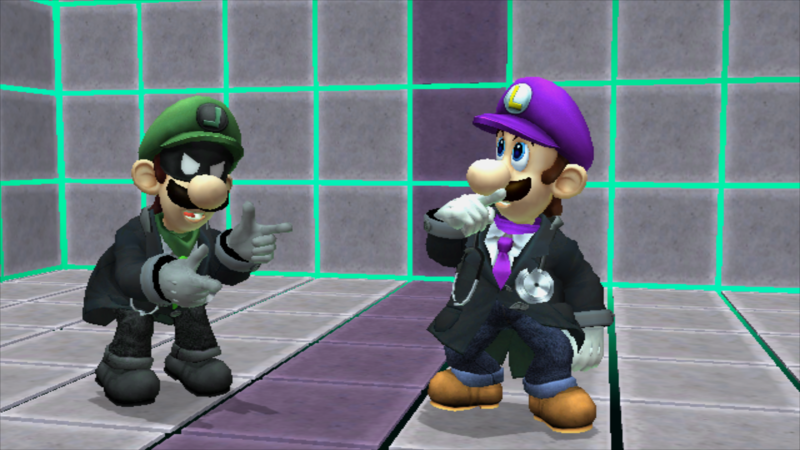 "Who the FXXX are you?!" 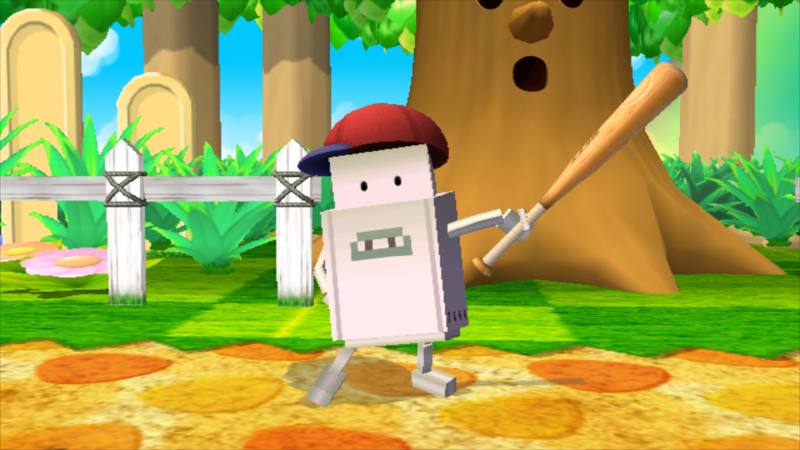 He has terrible animation, kind of like the show. 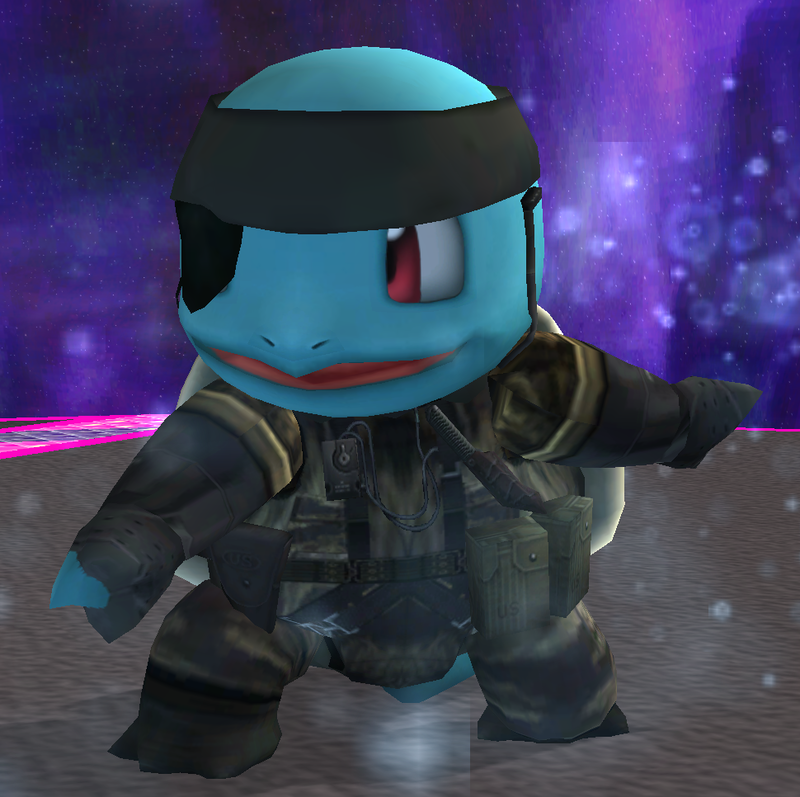 In 1964 the only one that could operate 'Operation Turtle Eater' was this little guy, at least I think it was. 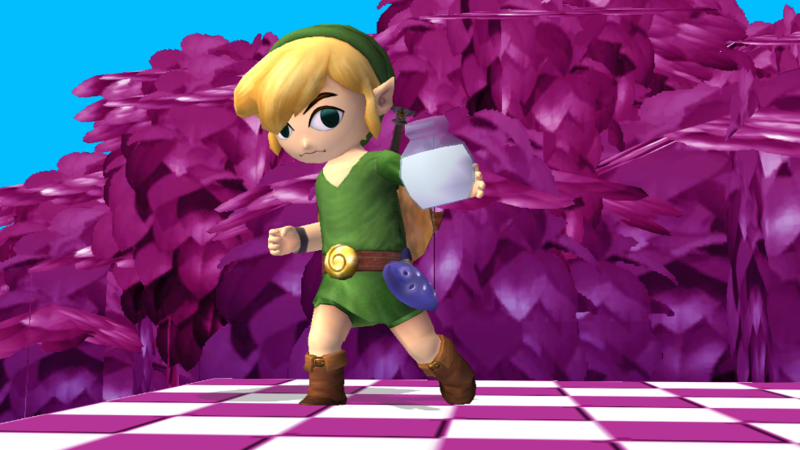 Based on a custom amiibo that fuses Toon Link and Ravio's designs. 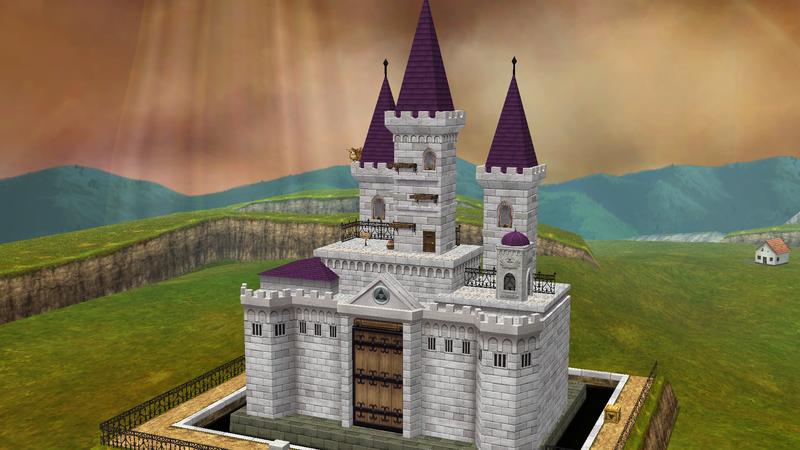 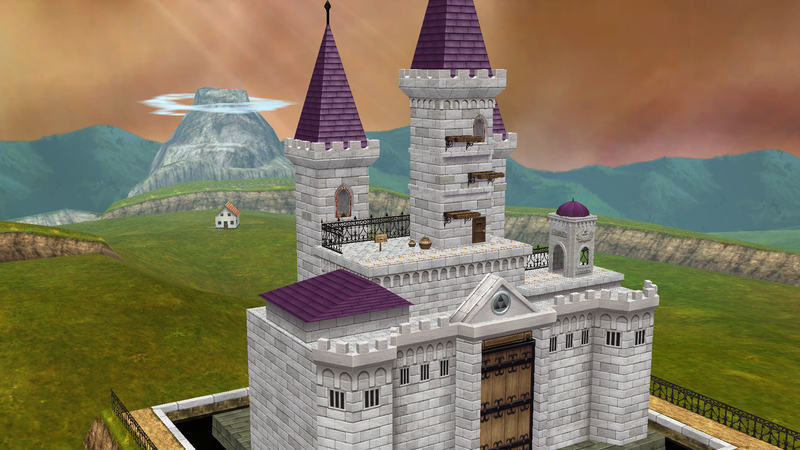 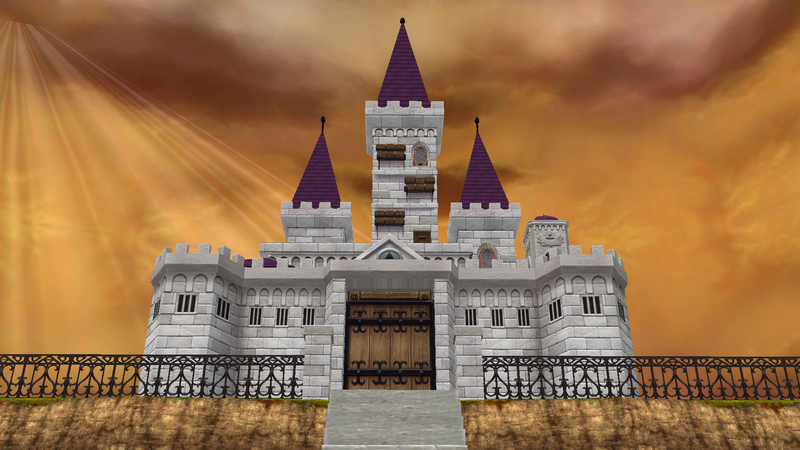 Retexture of PM's Hyrule Castle. 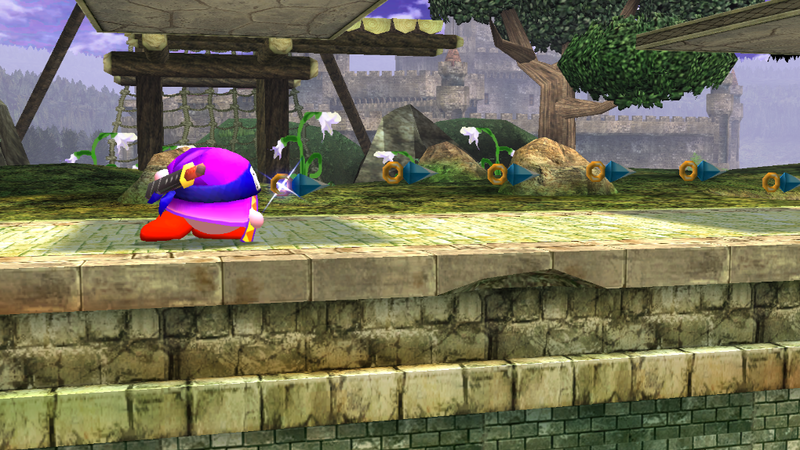 Stage originally by the PMDT. 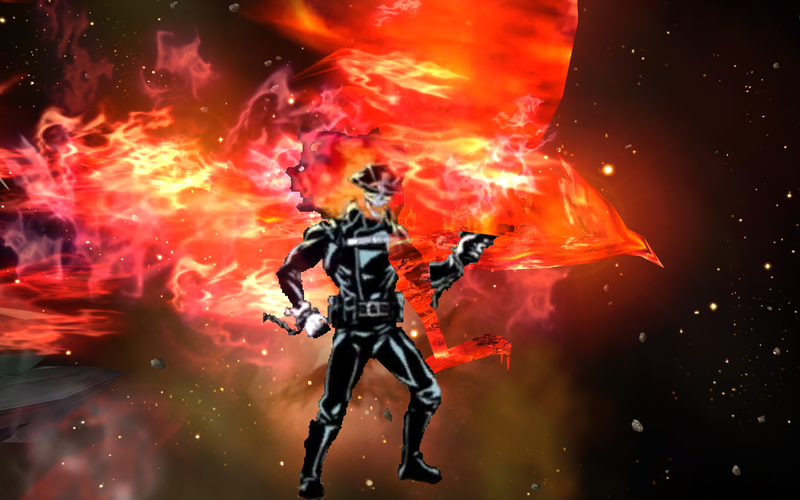 My entry to the artist within tournament. 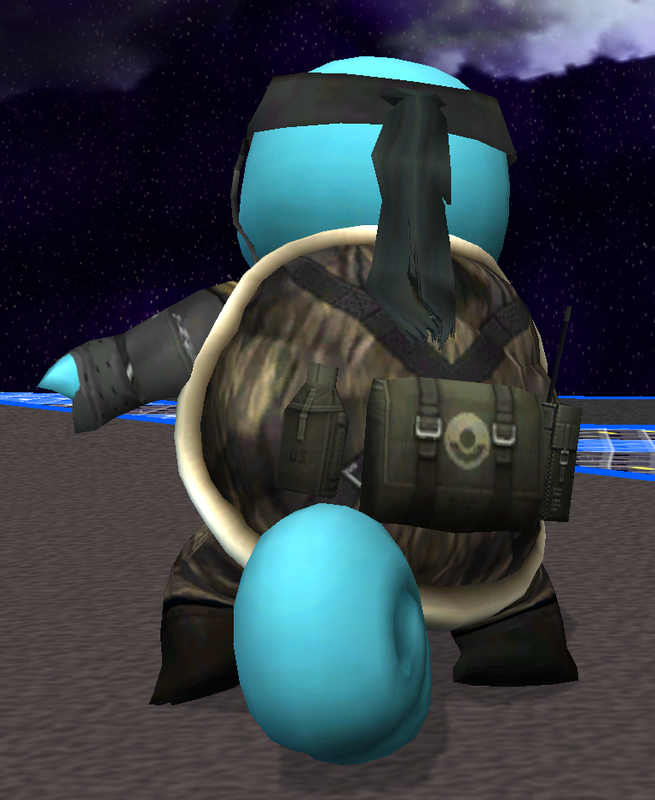 For the Ninja redesign tourney. 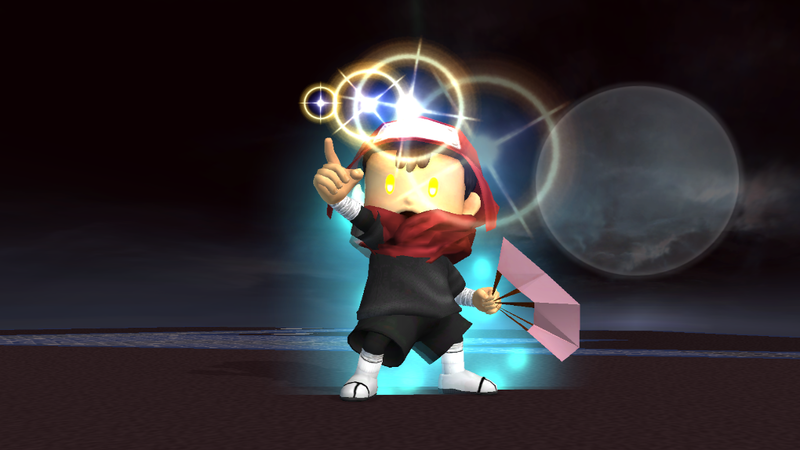 Has a version with the fan always showing or just on FS eyes. 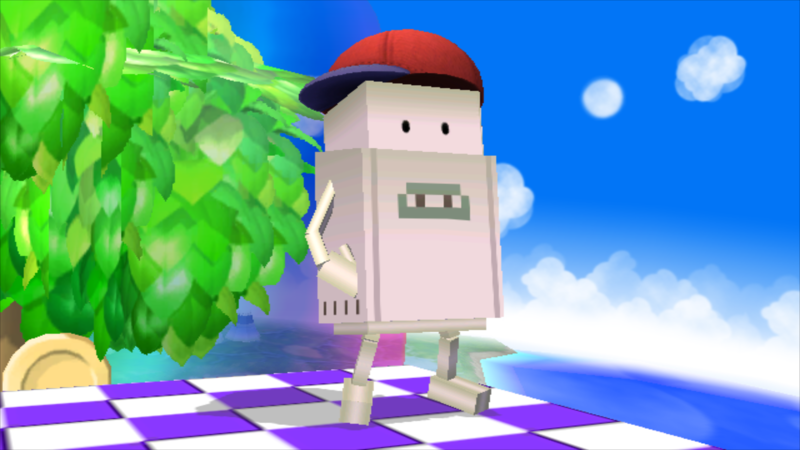 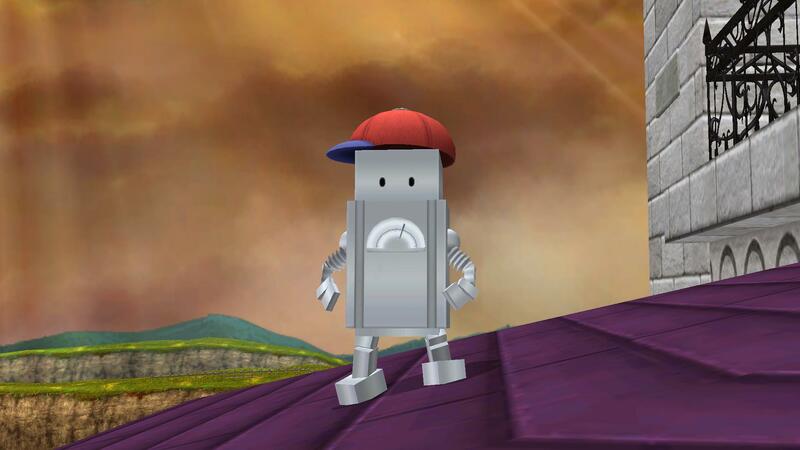 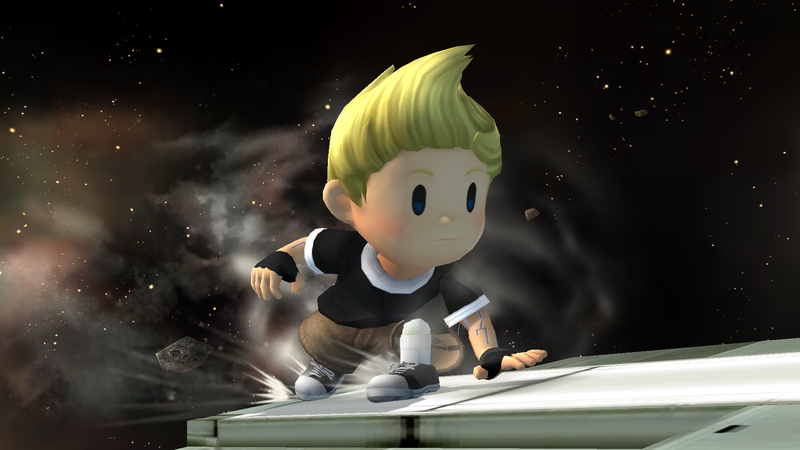 Includes all Brawl recolors and PM's PJ Ness. 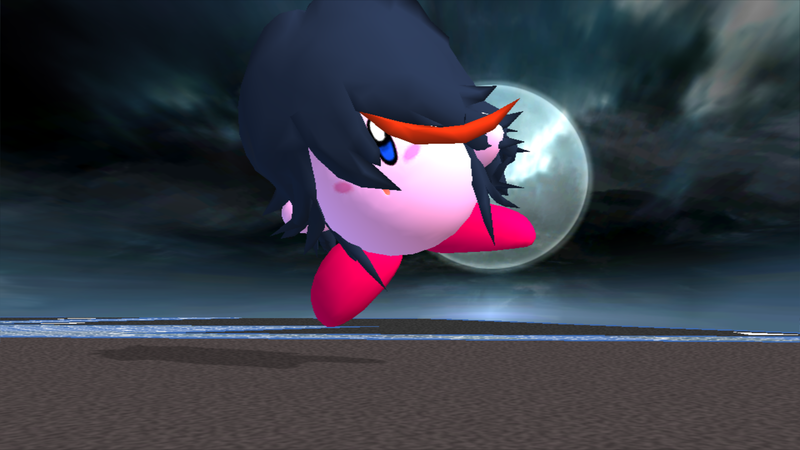 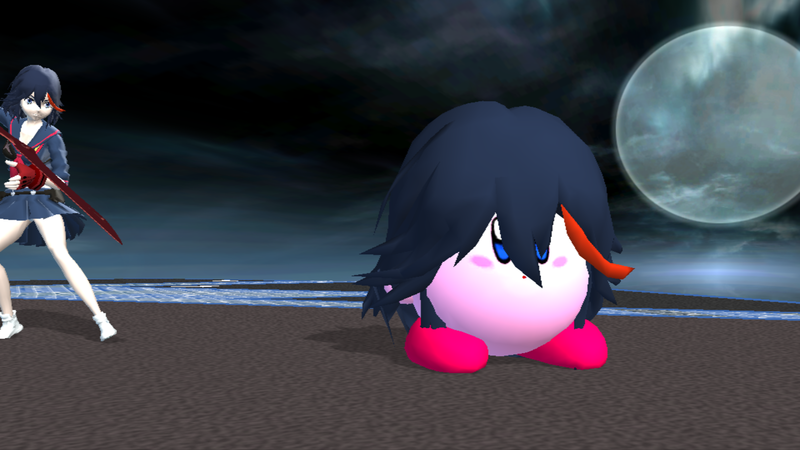 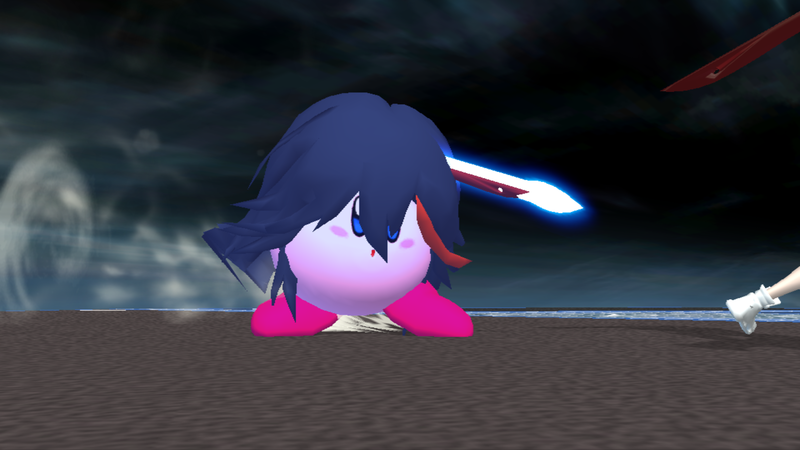 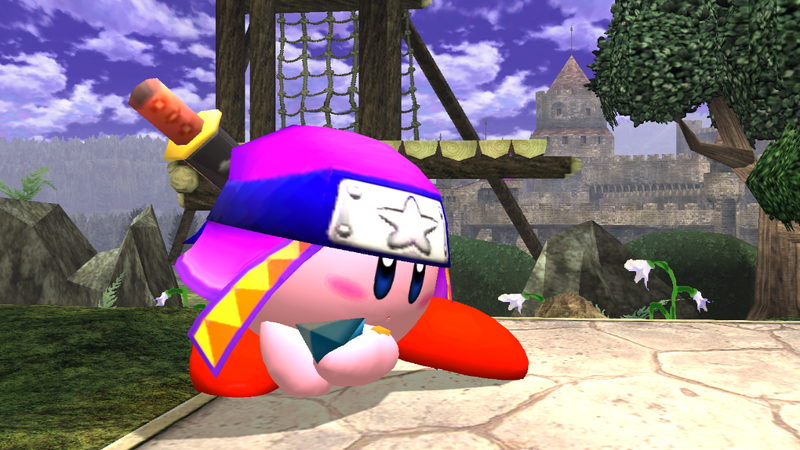 Unrelated to the Ninja Tourney, I decided to make another Kirby hat. 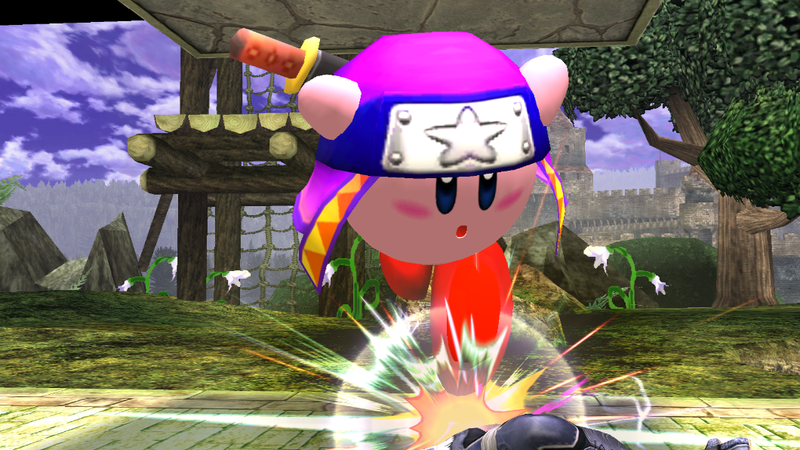 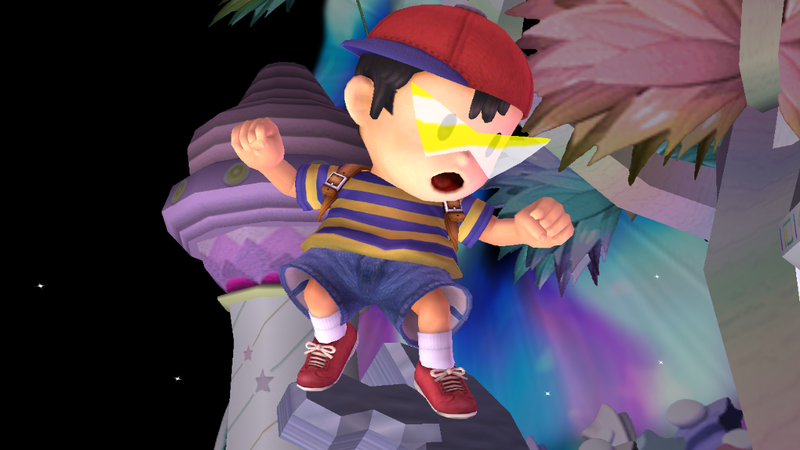 Has kunai over needles. 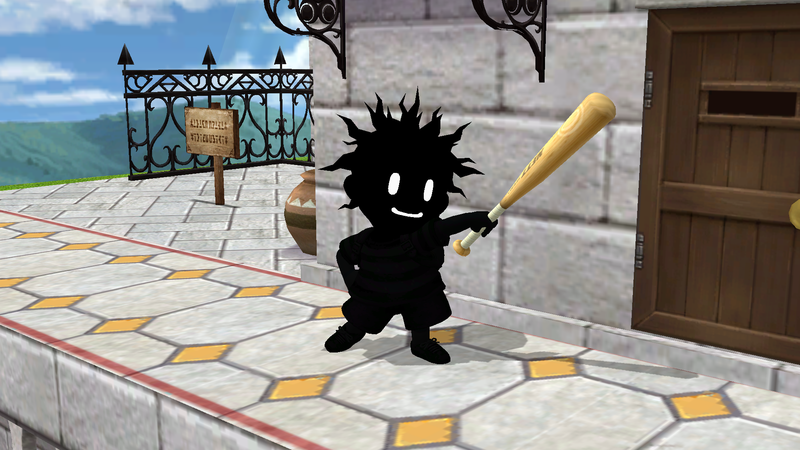 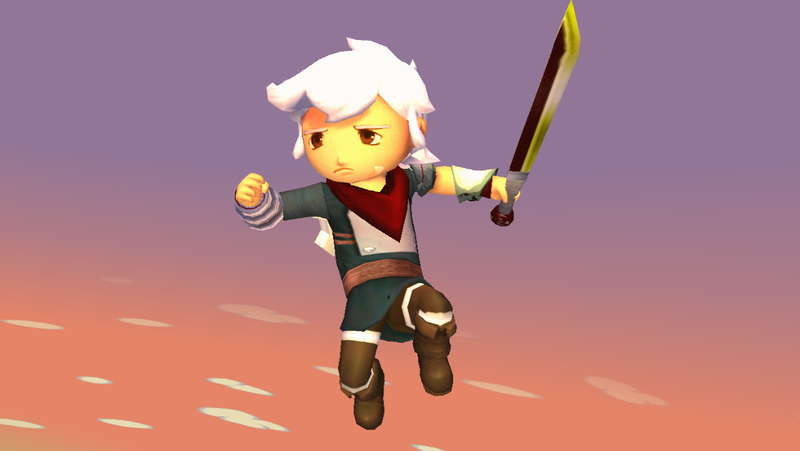 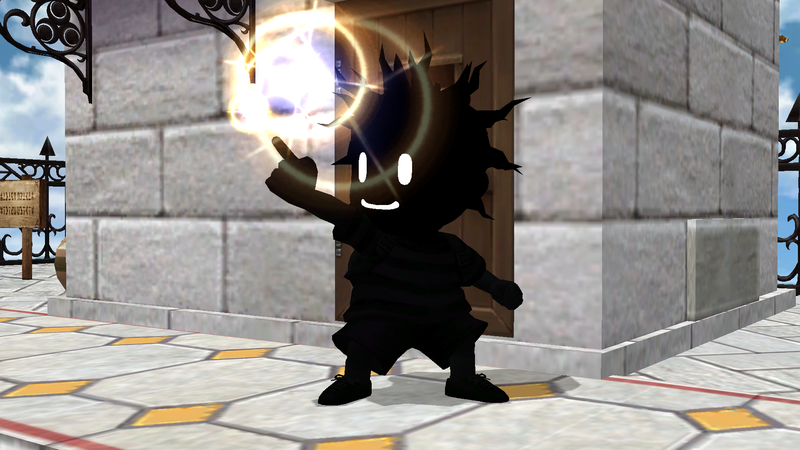 Edit: Download fixed, texture works now. 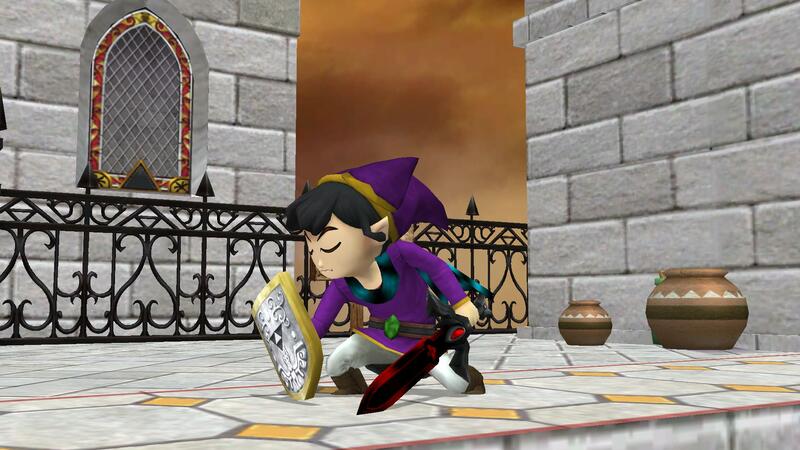 Includes Hero and Mirror shield variants. 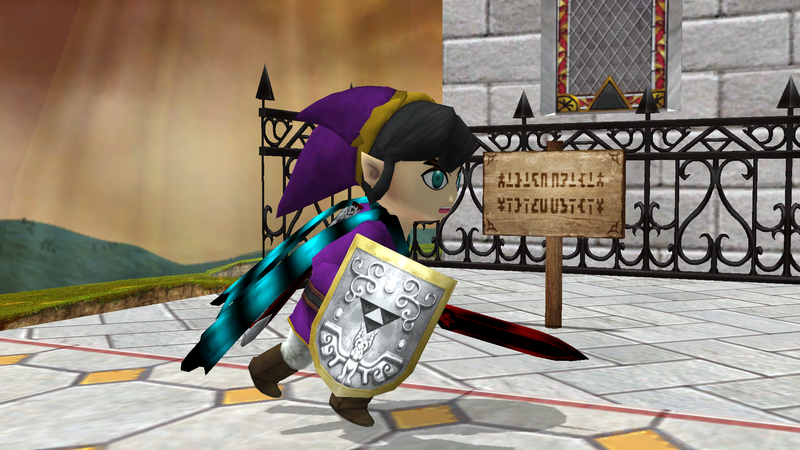 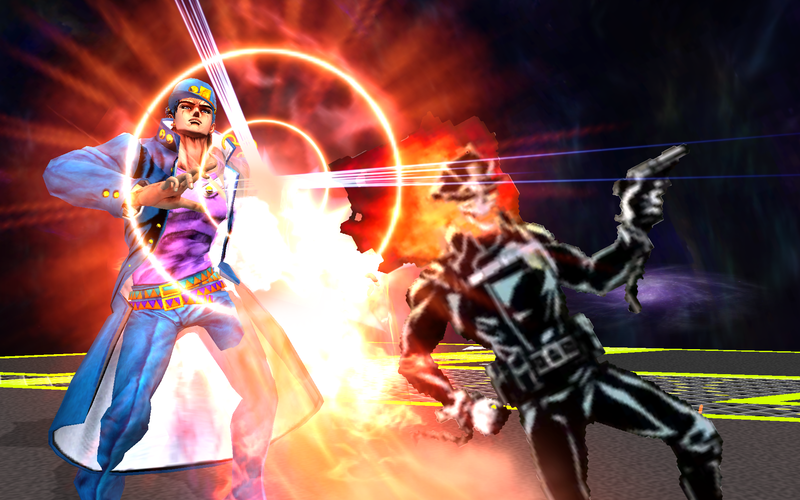 Now includes versions without ocarina for those who don't want it. 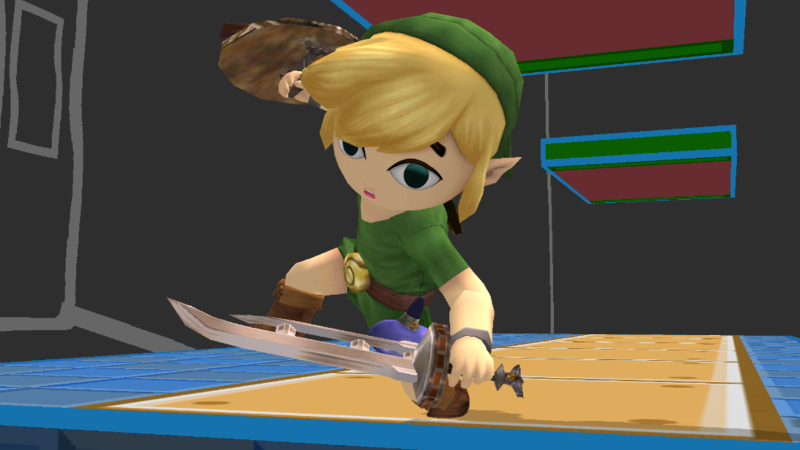 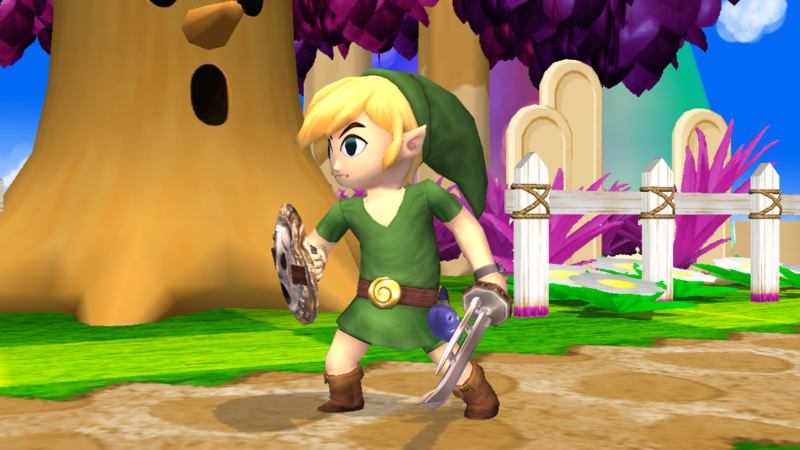 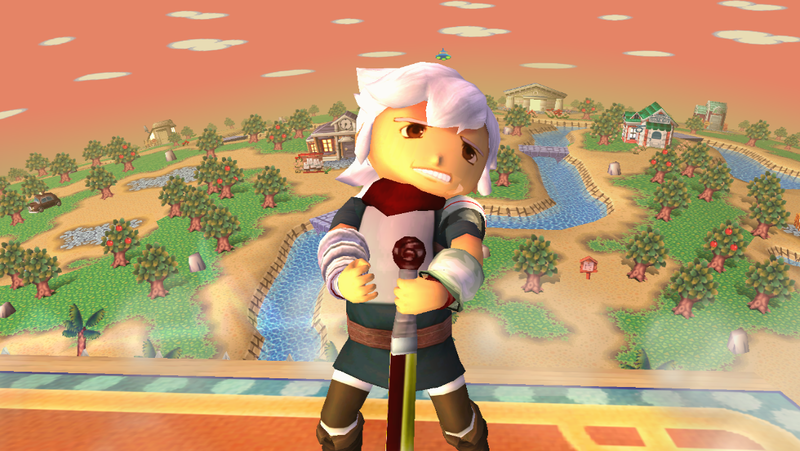 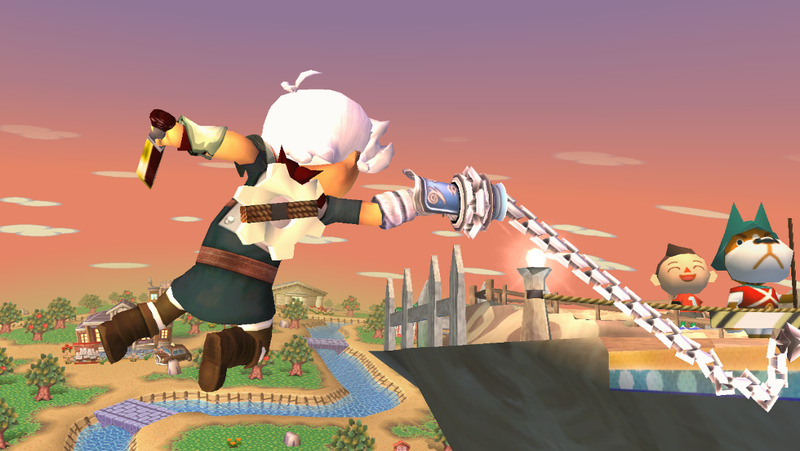 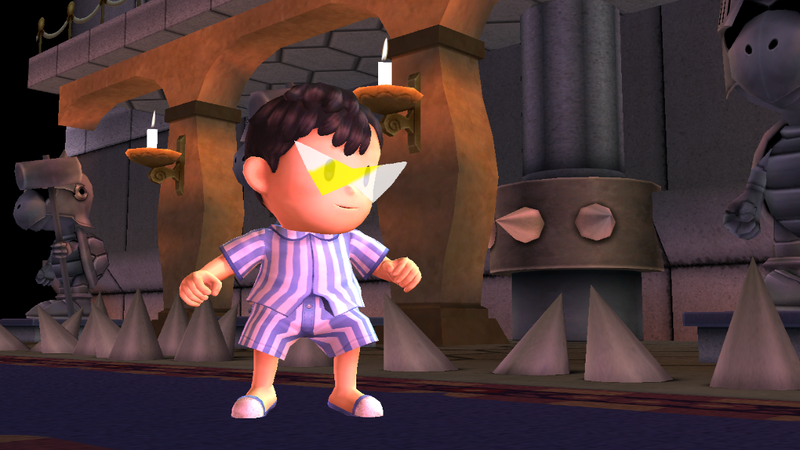 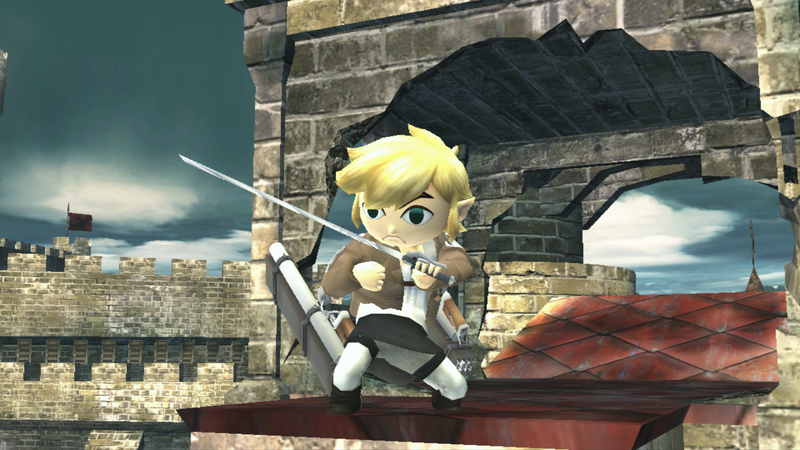 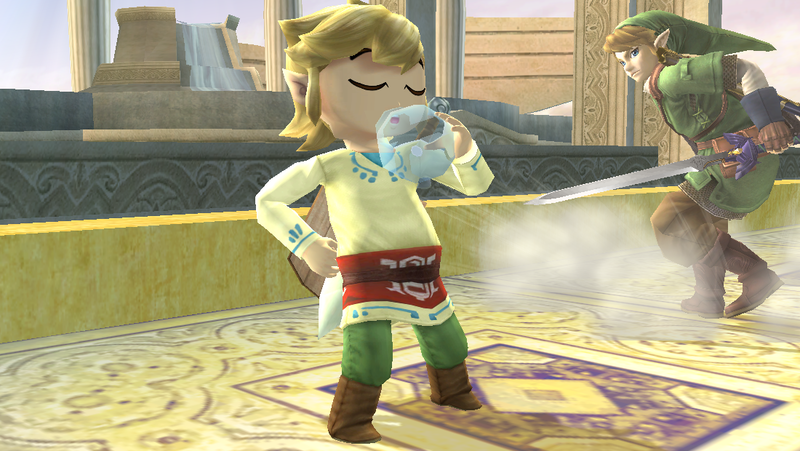 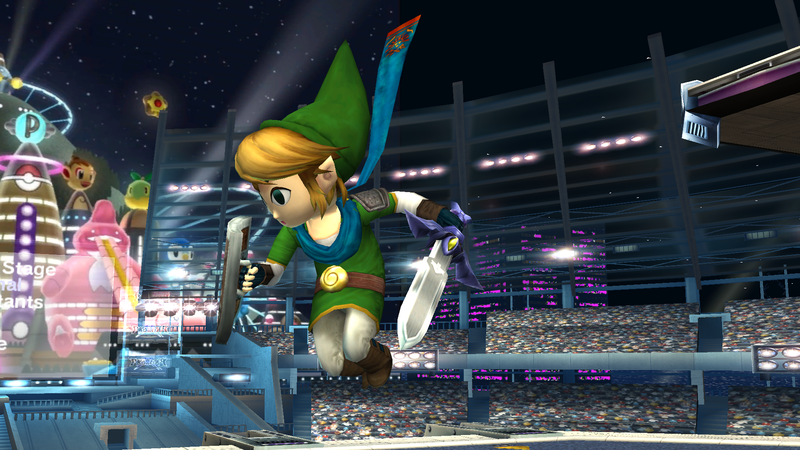 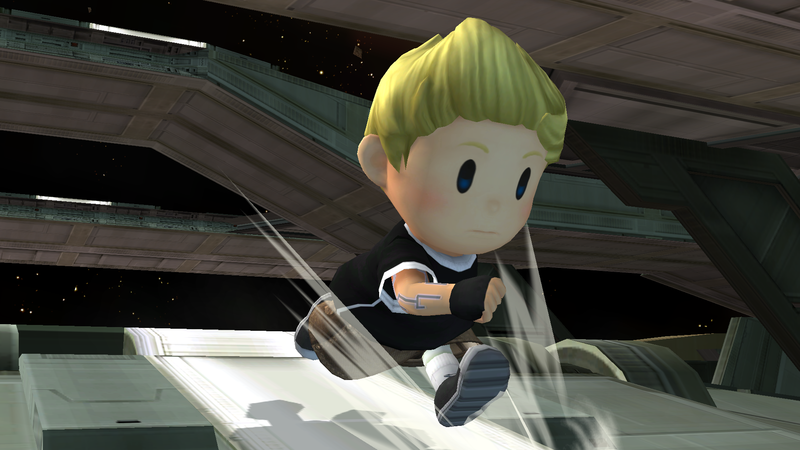 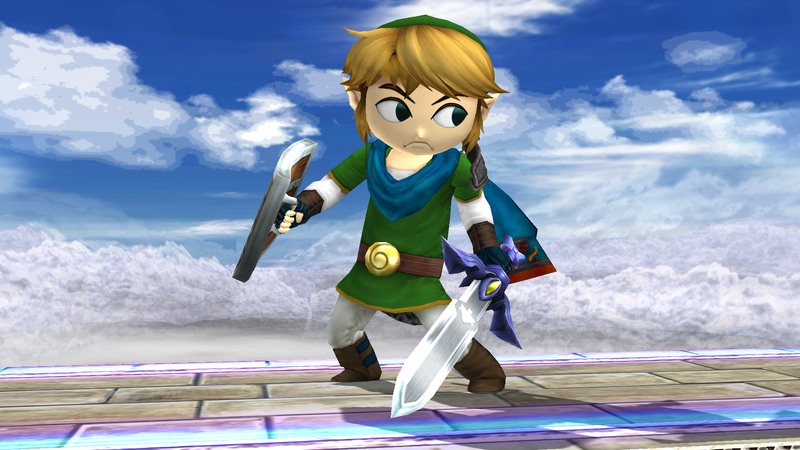 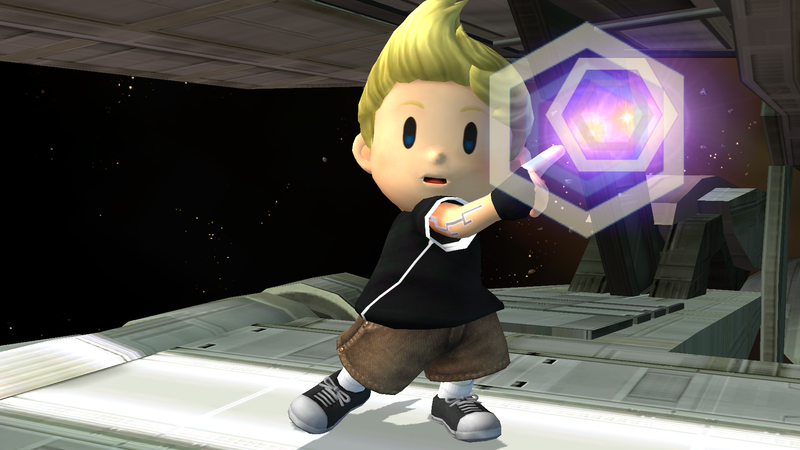 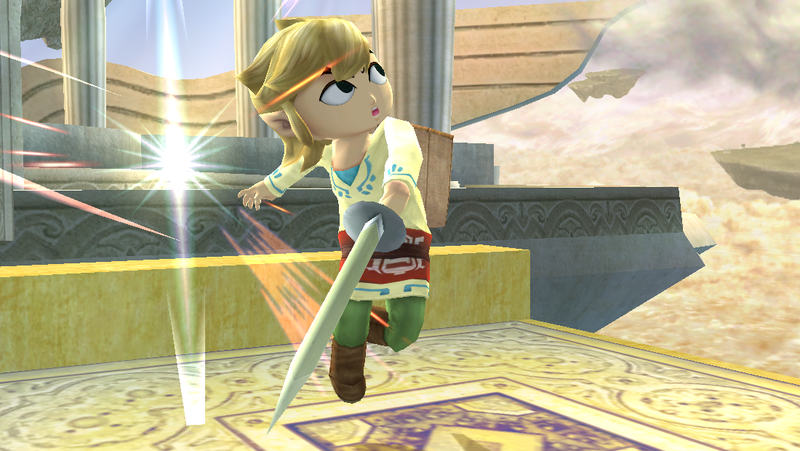 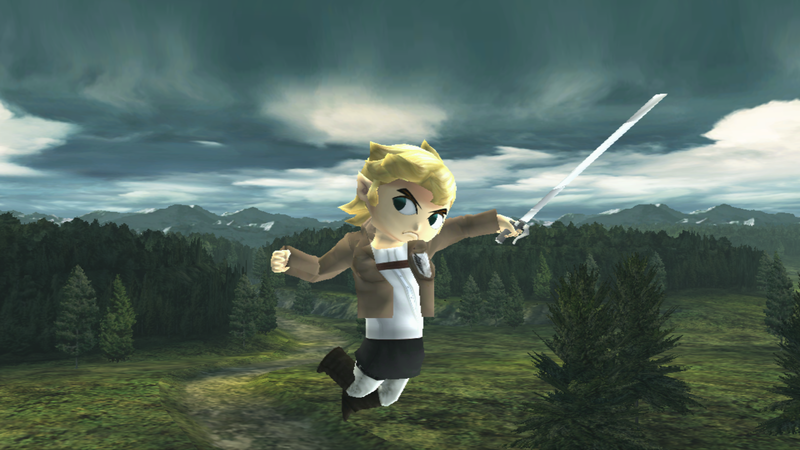 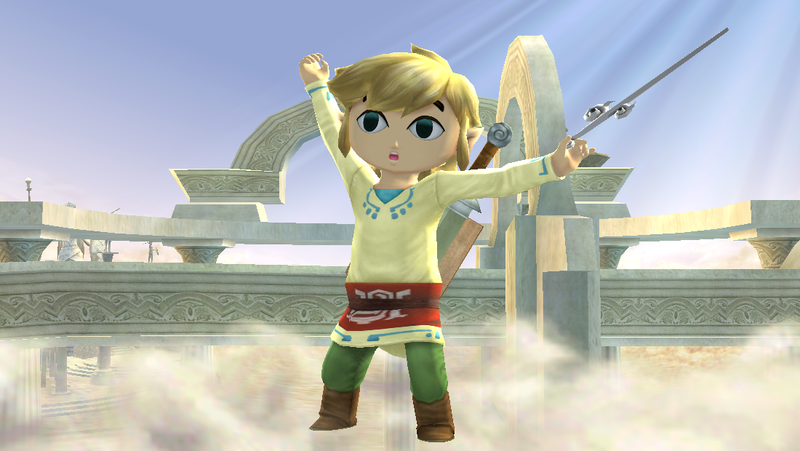 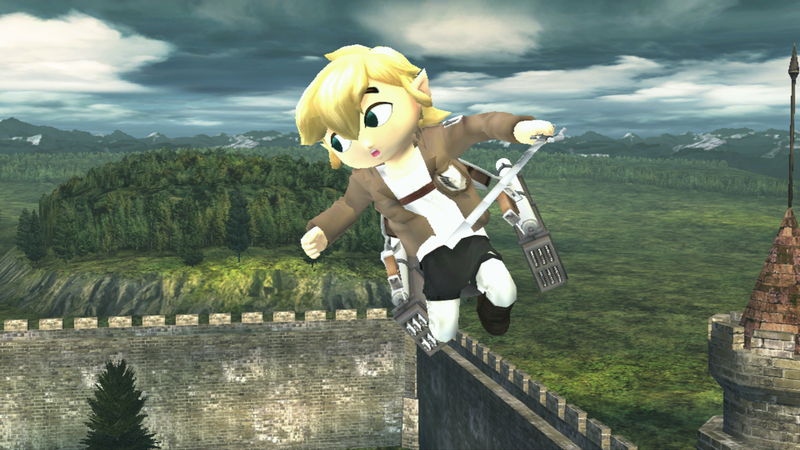 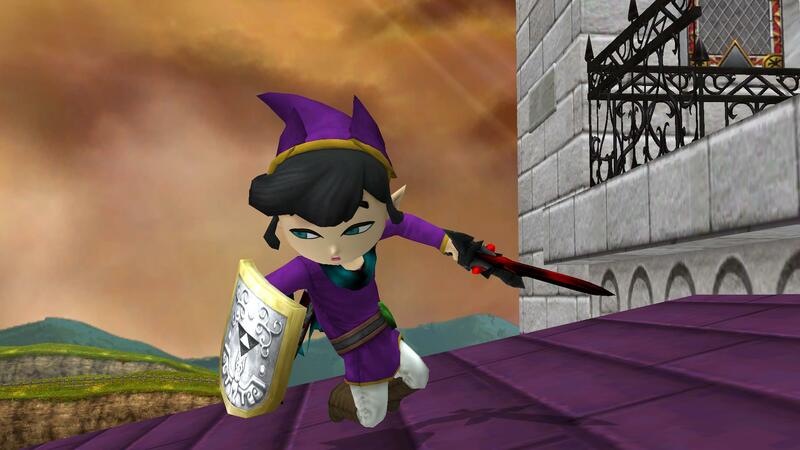 Toon Link wearing the Scouting Legion outfit from Attack on Titan. 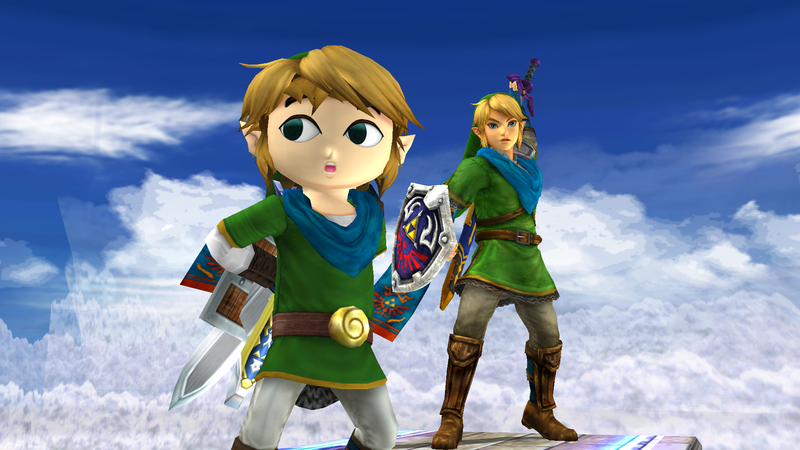 Has versions with and without 3D Maneuver Gear. 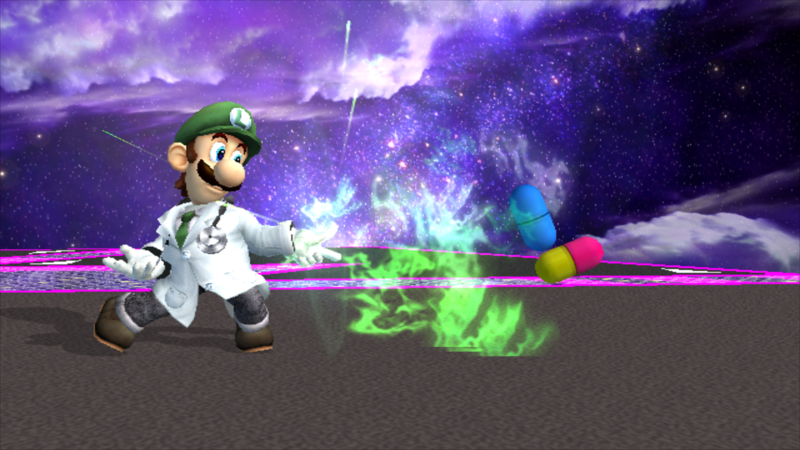 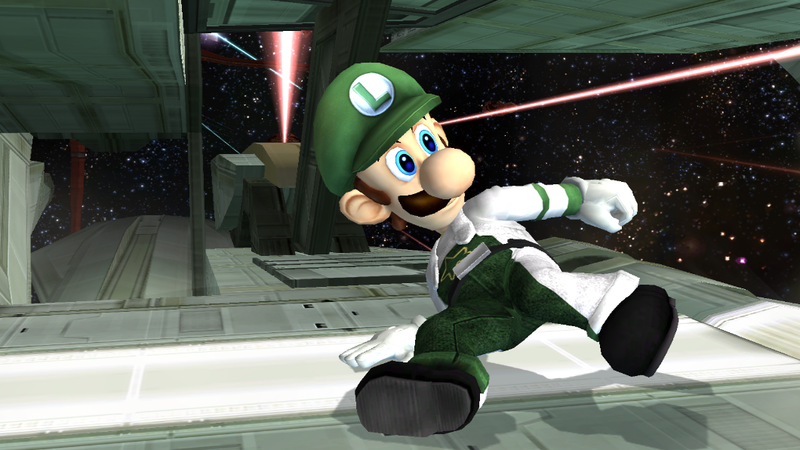 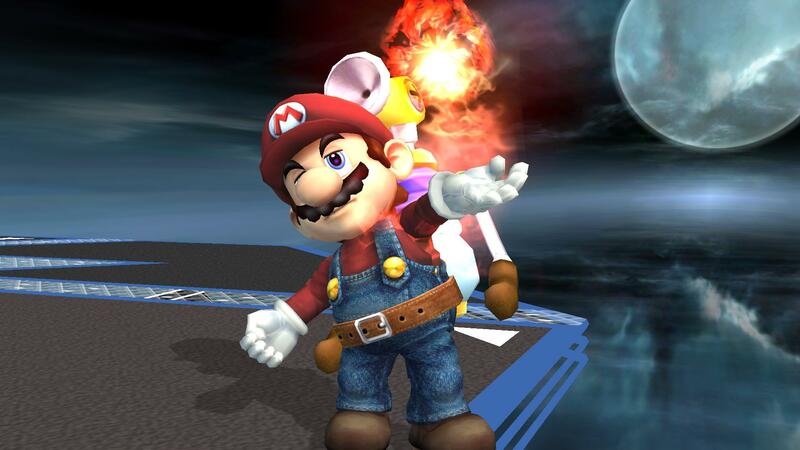 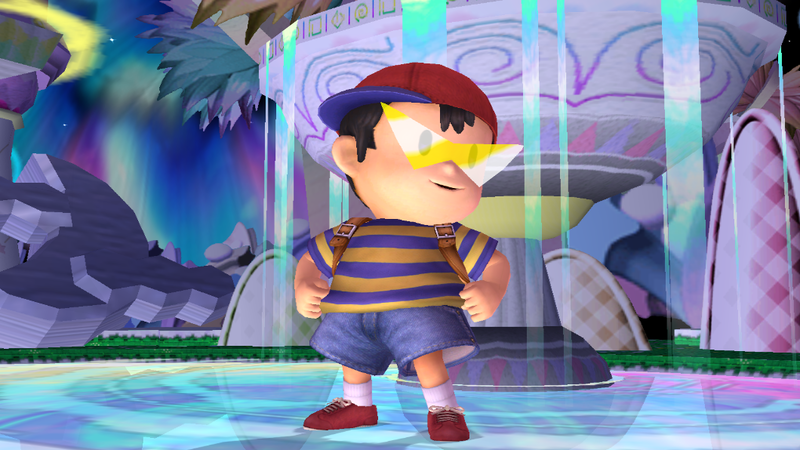 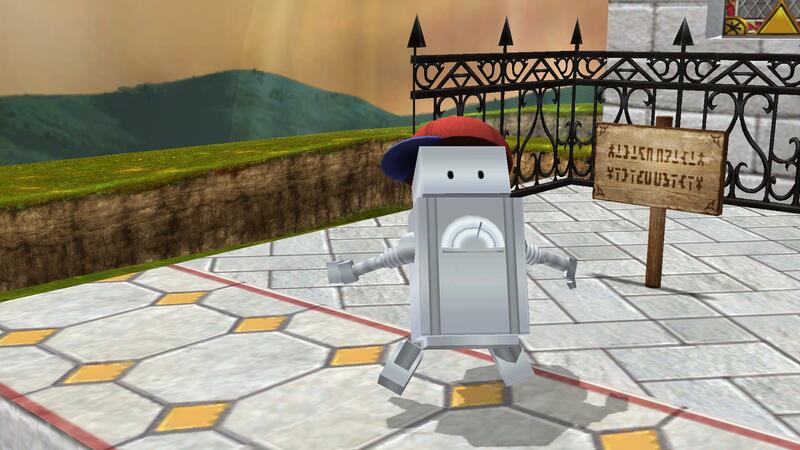 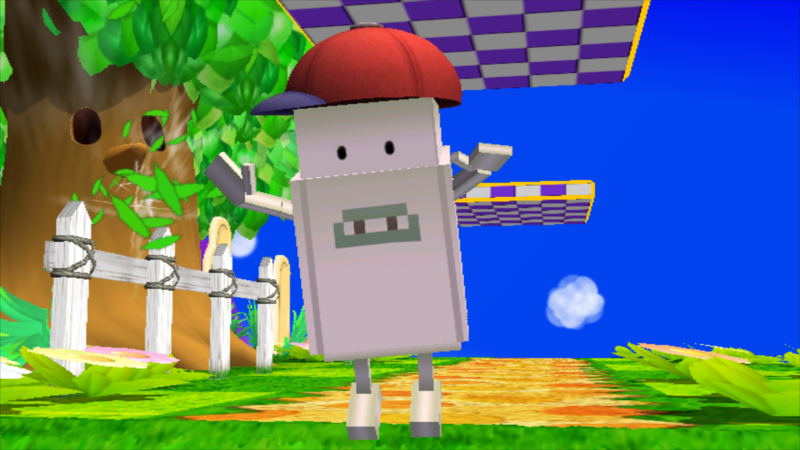 Dr. Luigi shows his true colors, includes a Dr. L costume. 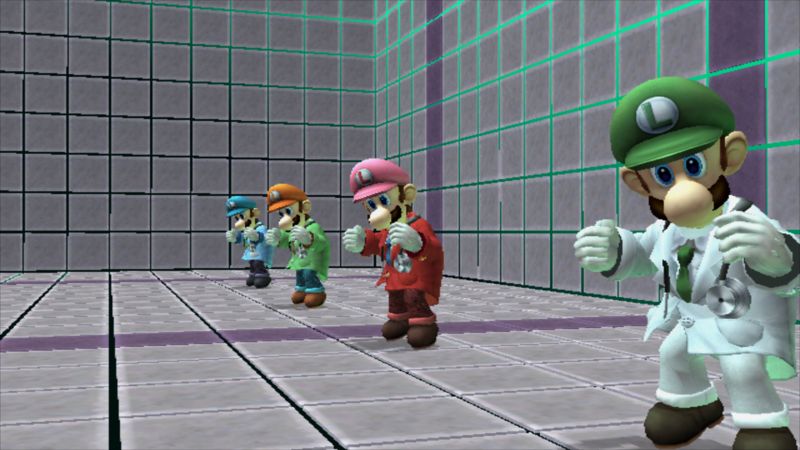 REALLY BIG SUPER UPDATE, The textures should work correctly on consoles now. 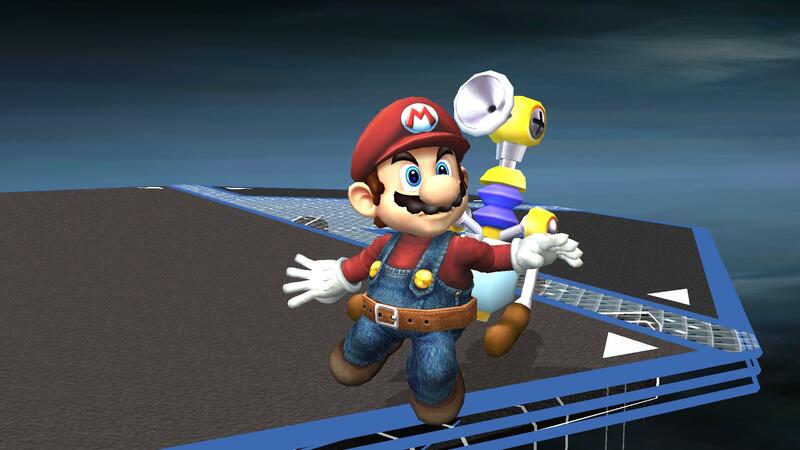 Render by Mach 7.6 is now included. 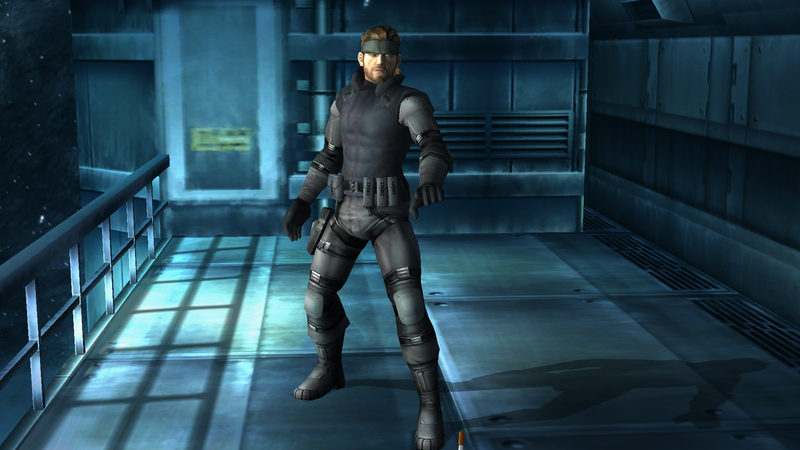 Page created in 0.338 seconds with 137 queries.